THIS LINK MUST BE CHANGED DUE TO IT POINTING TO A .RAR WHICH COULD NOT BE OPENED IN 1010 WESTWOOD. Add "most recent full proof" at end. Provide links to other sites as well, specifiy .zip. This will download a .rar compressed file. If you need an app to decompress it, try 7zip. There will be a .pat file and probably a .rar compressed file. In the following steps you will be using the .pat file. 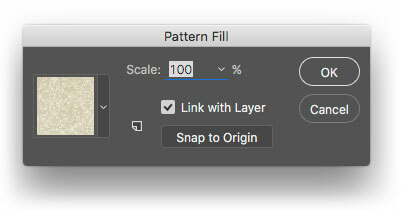 It is a Photoshop file type for pattern libraries. In Photoshop, open a new file. The New Layer dialog box opens. You can name the layer if you like. Note that the Color option is not used for a fill color for the image. It is used to add a color tint to the name of the layer in the Layers panel. The Pattern Fill dialog box opens. On the left side is the pattern selector. Select Replace Patterns... (3) to temporarily remove the patterns shown. 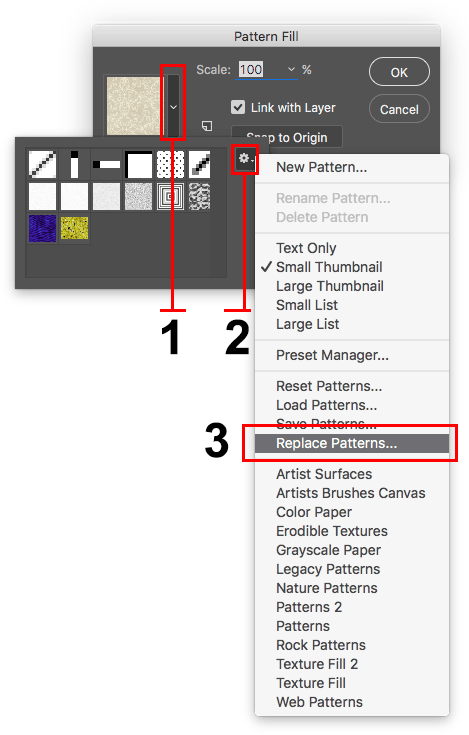 The patterns that are there are probably part of the default patterns that come with Photoshop (see the list of them at the bottom of the menu). They can be reloaded in the future. You only need to be concerned about replacing any of the patterns already there if you want to save them first as a library. If so, use the Save Patterns... option in the same menu. Find the .pat file that you downloaded and select it. The patterns in the pattern selector will now be the ones that you downloaded. NOTE within the vertical red rectangle below the pattern does not have a smooth transition where the image is being repeated in order to fill the area. In this situation it is not very noticeable. Patterns can also be used for vector shape fills and strokes. 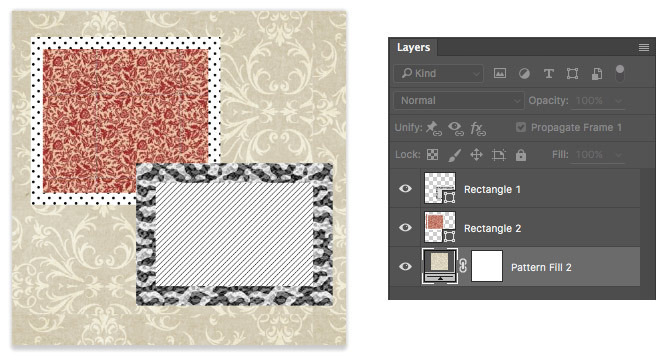 This image shows a fill layer with a pattern and two shape layers each with patterns applied to their fills and strokes. You can download this demo file as a .psd by clicking here.